A particular focus in the first weeks of this course centered around political participation. I found the class discussions surrounding this topic to be somewhat problematic – primarily because I think the tendency with these sorts of discussions is to equate political engagement or participation with the act of voting. Now don’t get me wrong. 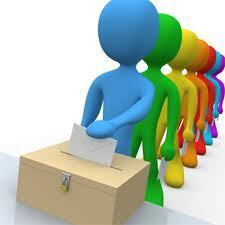 I think that voting is extremely important in our society – a hallmark of democracy that is often taken for granted. However, focusing on the numbers purely as they relate to voter turnout is, in my opinion, a huge mistake. In fact, I think voter turnout might be one of the weakest indicators of political engagement. In chapter 3 of the textbook, on page 34 the author states that “different forms of political participation are not equal: they involve different groups of individuals and exert different kinds of influence on the political process.” This is a very important point that I think bears particular relevance in the context of the cleavages we looked at in week 4. I’d like to contest the reliance placed on voter turnout data and instead suggest that that people engage in the political process frequently but in the ways that will relate closest to their values and concerns. For instance, we looked at a “class cleavage” and the argument was made that the more educated and wealthy people are, the more likely they are to politically participate in Canada. Instead, I suggest that perhaps people in these groups feel alienated by politicians and feel that the electoral process is not the most effective way for their voice to be heard. Instead, these people might join community groups or faith communities – avenues through which their particular issues are more likely to be addressed. Similarly, if we look at the “age cleavage,” one can look at youth voter turnout and criticize students as apathetic. Contrary to this, however, I believe that youth are more likely to engage with the avenues that are most relevant to them. Traditional politicians are most often out of touch with student issues and give them little credence in the grand scheme of their platform. In light of this, we can look at the Laurier community itself to see that students are highly engaged but in a different way than merely voting. We join campus clubs and movements based on the things we deem important because we feel that at this level we can truly inspire the change that is slow to come about at the government level. The issue of voter turnout can be fairly polarizing for those with an interest in politics. In light of this, if anyone is reading, I’d love to hear your thoughts!